Looking for a new ranch-style home? This popular Alcott plan has it all! 2 bedrooms and a full bath welcome guests near the wide hallway entrance, further back, a versatile flex room can be used as an office or dining room, and a master suite with large walk-in closet is also off the main hall. At the back of the home, you'll find a spacious kitchen for the chef in the family, overlooking a large family room. A sunroom is adjacent to the kitchen and offers a perfect dining space. This leads to a large covered patio to extend your living space outside. A finished basement is also included, adding an additional bedroom, bath and large recreation room. Home is currently under construction with an estimated completion in March, 2018. 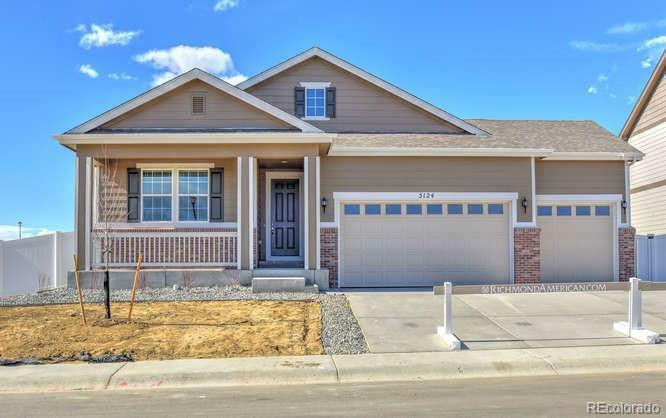 This new Windsor community is close proximity to I-25 and Ft. Collins. Ask about our energy efficient homes and new home warranty program.